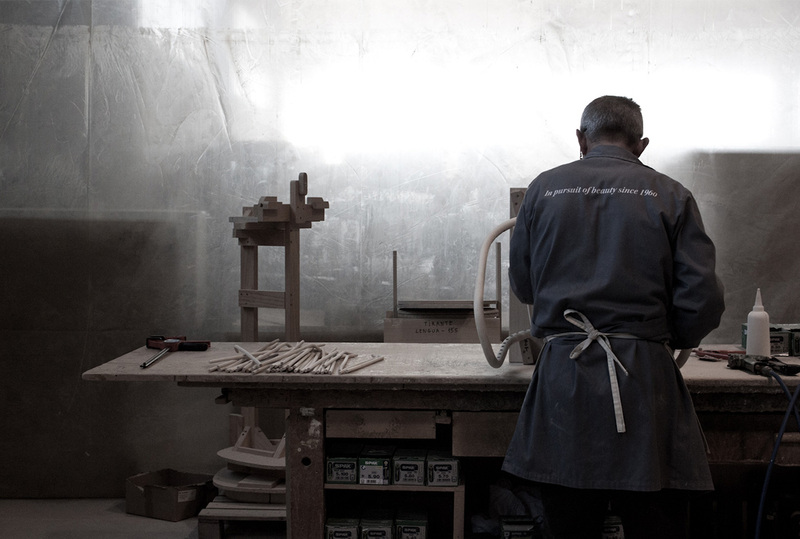 In Pursuit of Beauty: Inspiring Visit to Expormim Factory in Valencia, Spain. You know that feeling you get when you enter a special place where the building, the product, the history and the context all align in perfect harmony, and you can literally feel the hairs on your head stand up, followed by an onset of intense goose pumps? That visceral response to witnessing something so profoundly beautiful and so very special, that you start feeling emotional, you could almost cry? This is precisely how I felt when I arrived at Expormim. 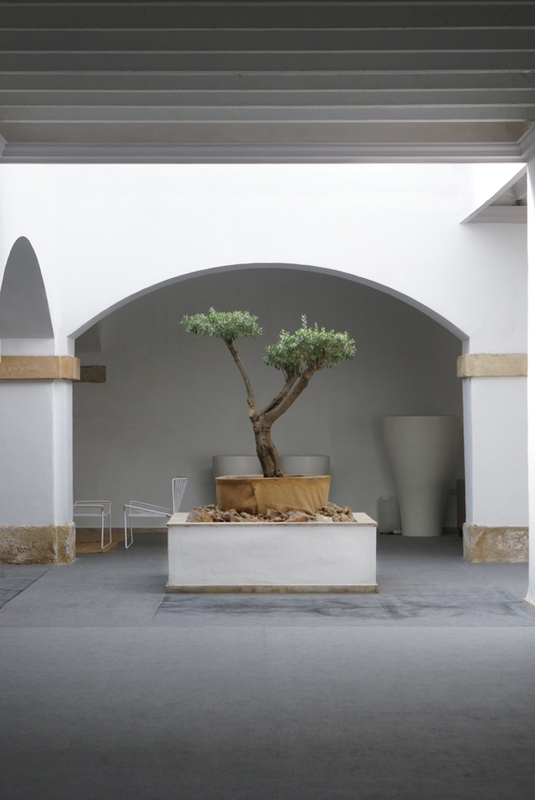 Entry and courtyard of Expormim’s Factory and Showroom at ‘La Venta’, Moixent, Spain. Images courtesy of Expormim. 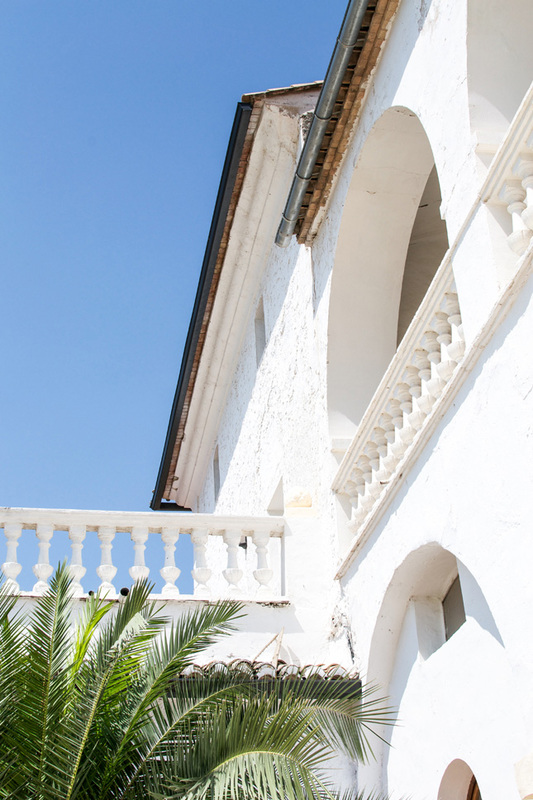 Details from Expormim’s Factory and Showroom ‘La Venta’. Images courtesy of Expormim. It was a warm and sparkling morning in June. 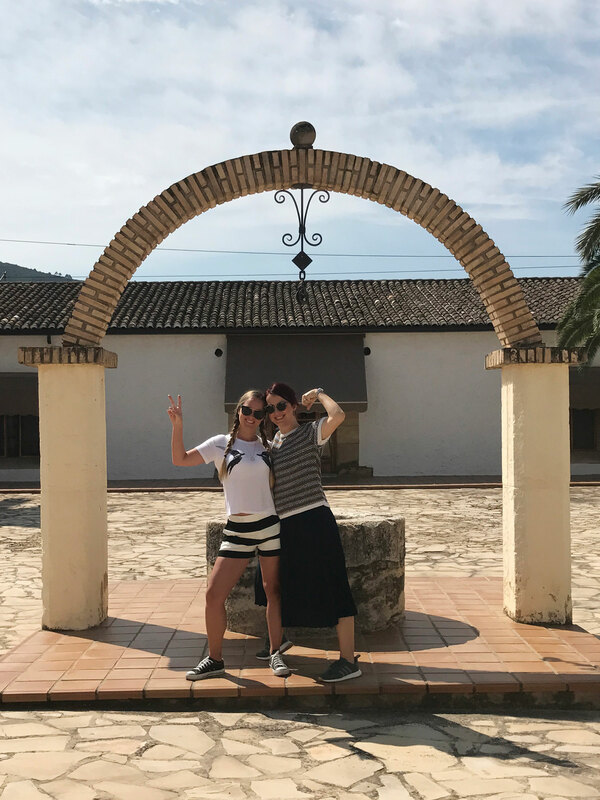 I was hungover AF, wishing I’d never had that last tequila shot, 27 glasses of wine and 427 G&Ts with the #KeZuDesignTour2017 crew the night before. Running on around 3hours sleep, we were feeling a bit sorry for ourselves, as our bus took us from Valencia to Moixent, an hour or so out of town. To say it was a rough start to the day would be an understatement, and you can probably imagine the fragile state of mind I was in. 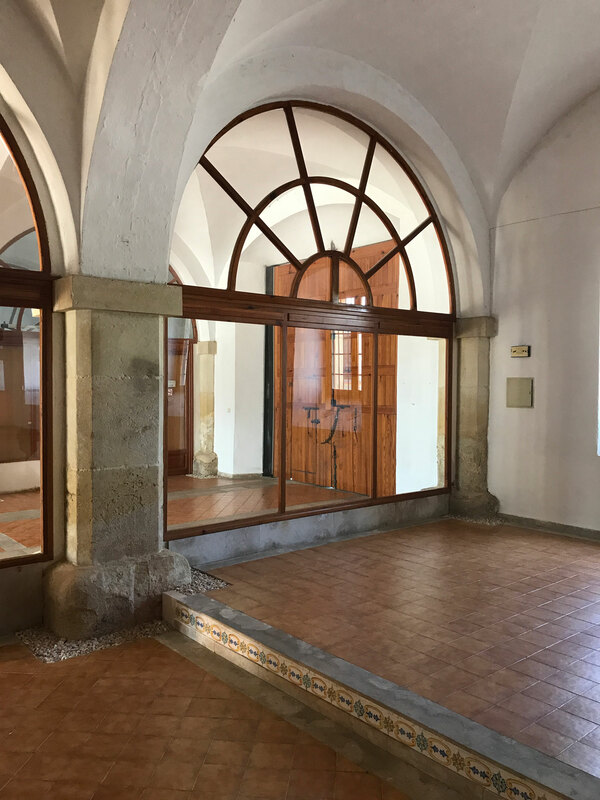 Design was the very last thing on my mind, but boy did that change the instant I got off the bus and walked through the heavy timber door that lead me inside the 18th Century building known as “La Venta”. 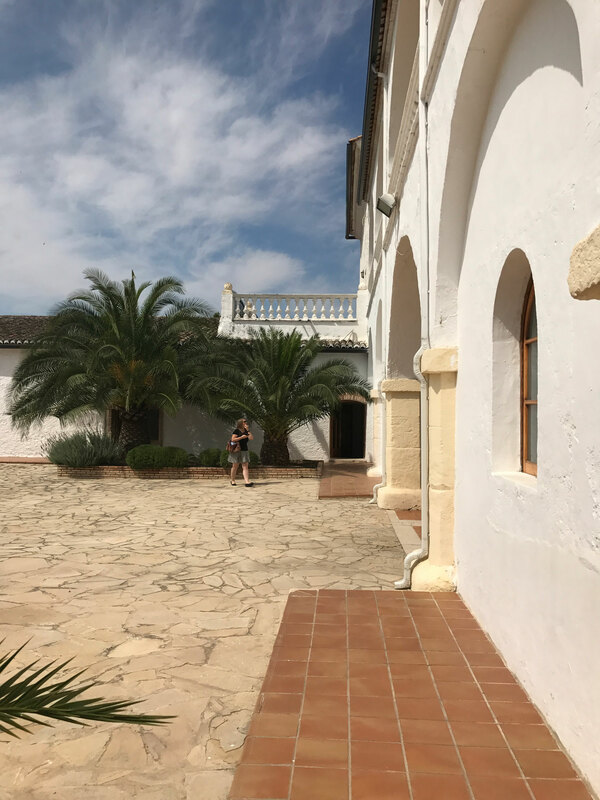 Yes, I could almost hear the sound of the Cherubs as we entered the central courtyard of Expormim building, complete with palm trees and a distinctive Mediterranean feel, awash with intense, bright sun. Bright central courtyard at Expormim, and Sarah & I trying to pump ourselves up despite feeling extremely fragile. 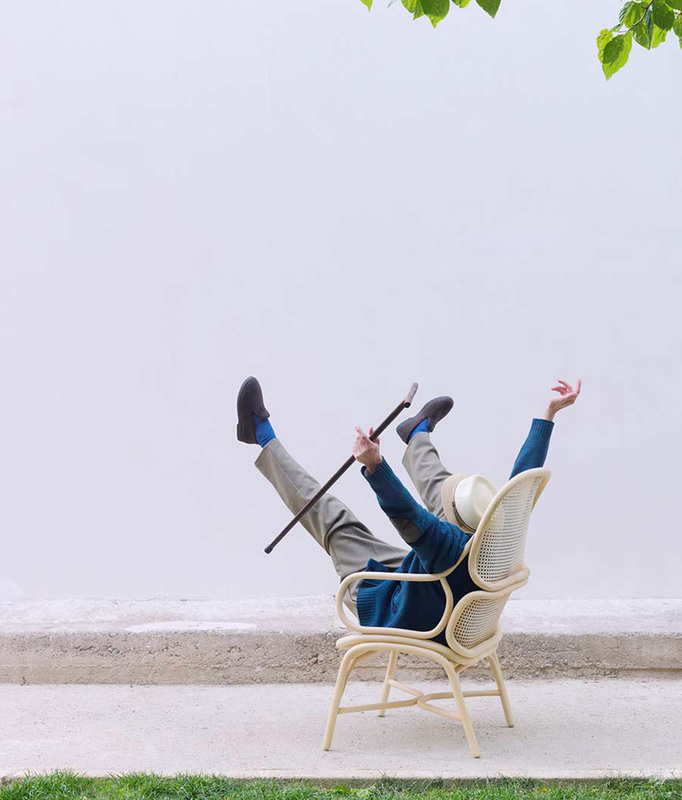 Photography © Dana Tomic Hughes/ Yellowtrace. 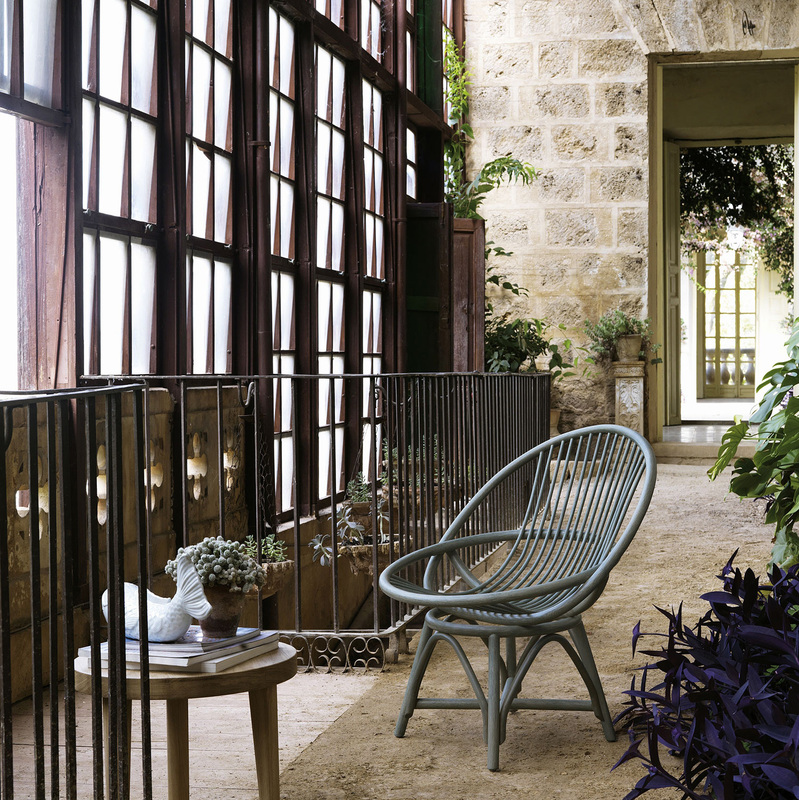 Distinctive Mediterranean feel at Expormim. Photography © Dana Tomic Hughes/ Yellowtrace. In that moment, that awful moment of feeling deep shame and self-judgement, I realised my horrid hangover was lifting, almost as though it was completely disappearing. 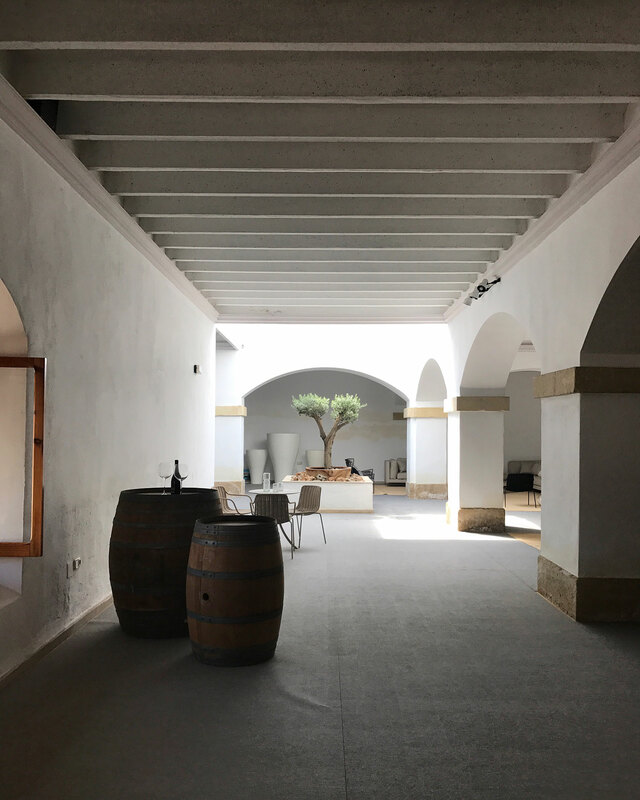 I experienced feelings of sheer elation and profound inspiration caused by elemental beauty of everything around me – the space and the product, which together told the most elegant, authentic story about a brand that lodged itself straight into my heart. I know this all sounds slightly esoteric, but I was literally dying. In a good way. And let me just clarify I wasn’t the only one, as my sad little hungover mates were all having a very similar reaction. Our collective awe in the showroom was palpable. We all had a moment – individually and collectively. Left: Original wicker chairs designed 50+ years ago. Right: New versions of the same design. Photography © Dana Tomic Hughes/ Yellowtrace. 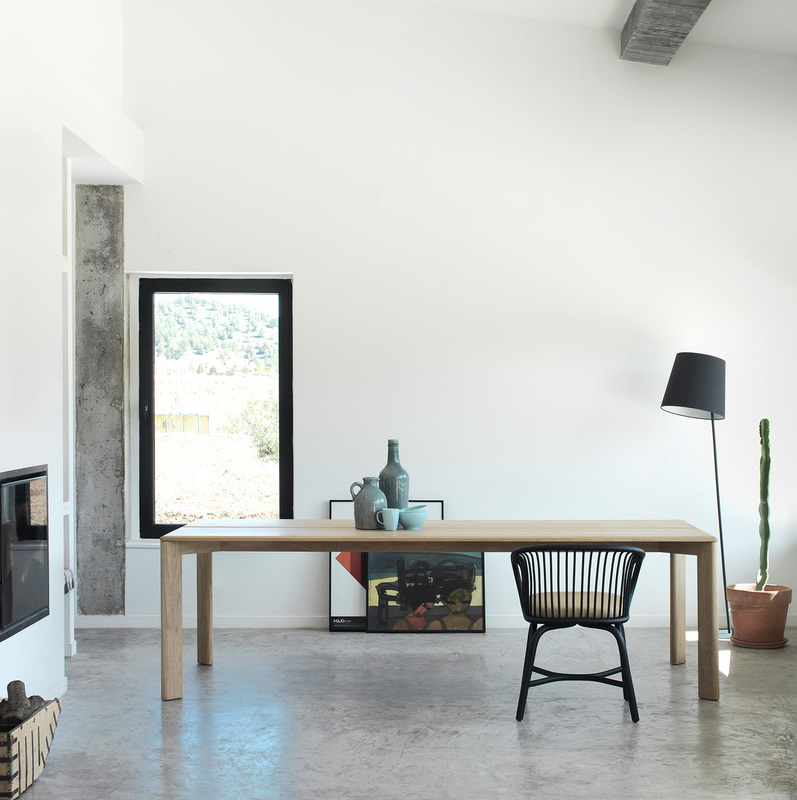 Left: Kiri shelving and outdoor lounge furniture. 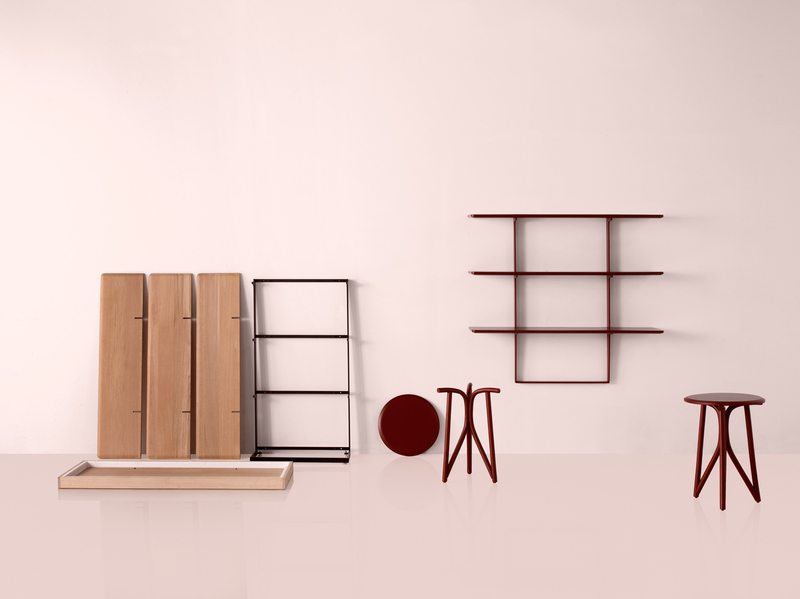 Middle: Geta Chairs. 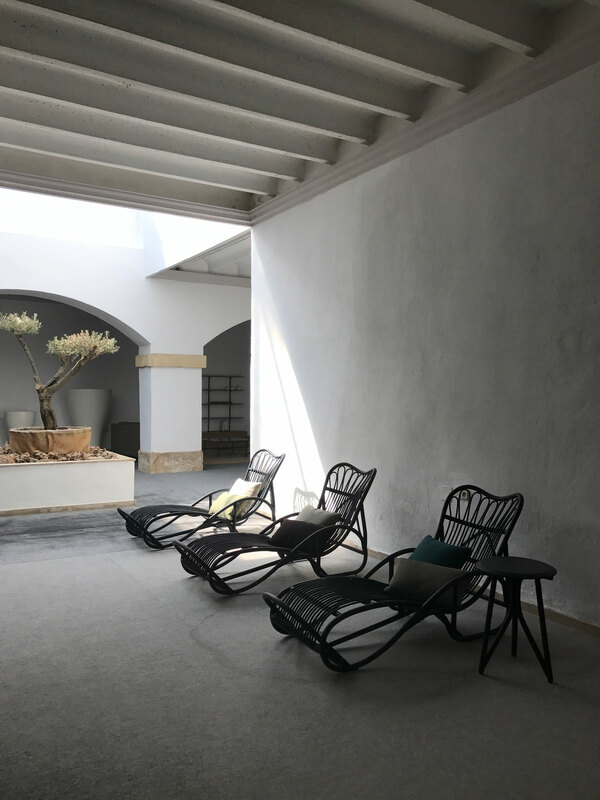 Right: Reposo chaise lounge designed in the 70s. Photography © Dana Tomic Hughes/ Yellowtrace. Left: Jaime Hayons’ Frames collection. 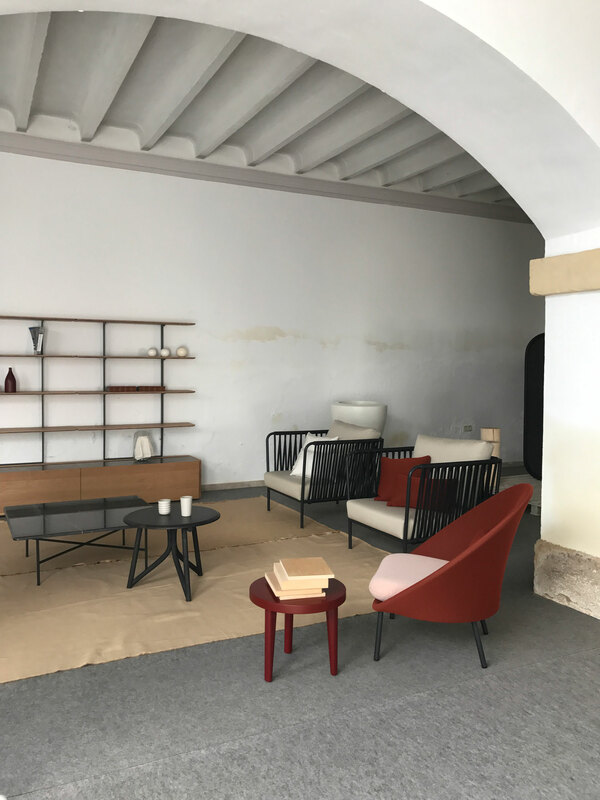 Right: Tina Lounge by Benedetta Tagliabue. Photography © Dana Tomic Hughes/ Yellowtrace. I was absolutely overwhelmed by the elemental beauty of the Expormim showroom. So peaceful and deeply inspiring. Photography © Dana Tomic Hughes/ Yellowtrace. Our yummy lunch. That seafood pasta dish in the middle was to die for! Photography © Dana Tomic Hughes/ Yellowtrace. 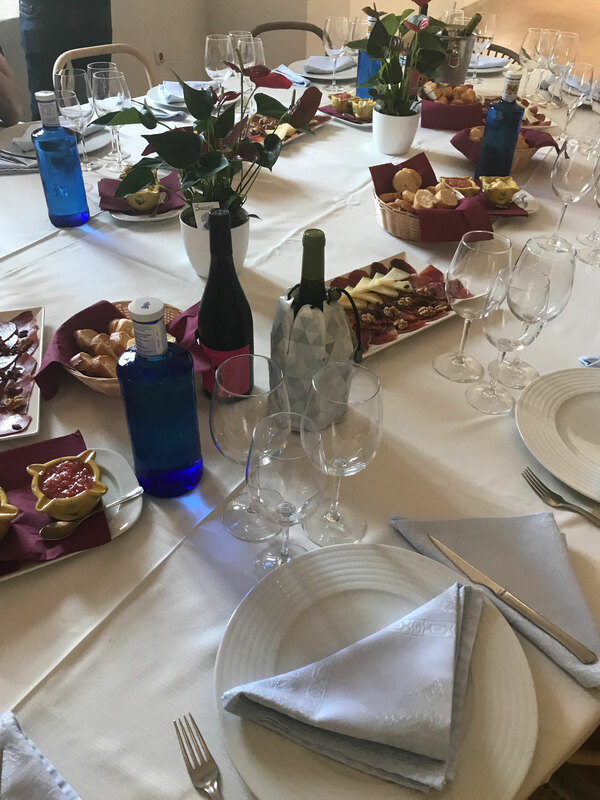 Expormim, or “La Exportadora del Mimbre” (Wicker Exporter) as it was known in the beginning, was founded on 20th November 1960 by Miguel Laso Tortosa, a lawyer by trade. 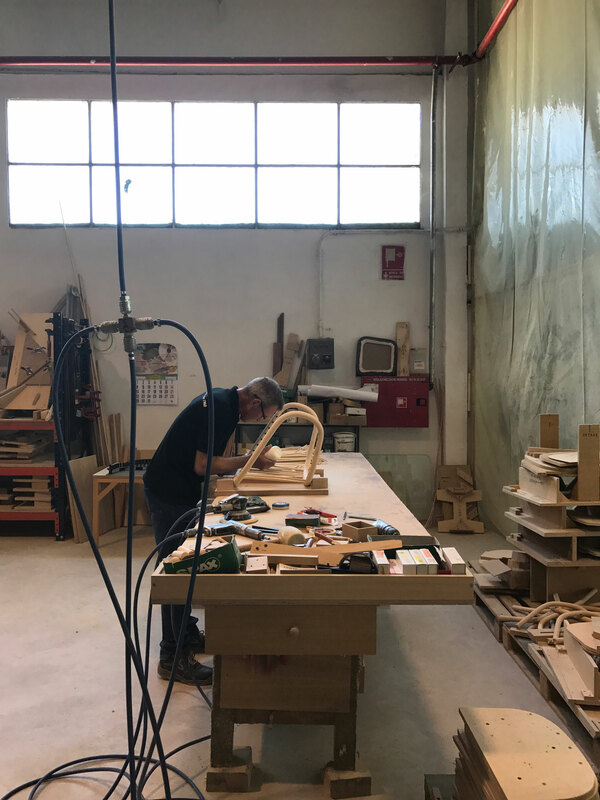 The raw material for his products was initially brought in from the nearby region of Cuenca for processing in Moixent, where it was hand made into baskets, folding screens, cradles and trays. 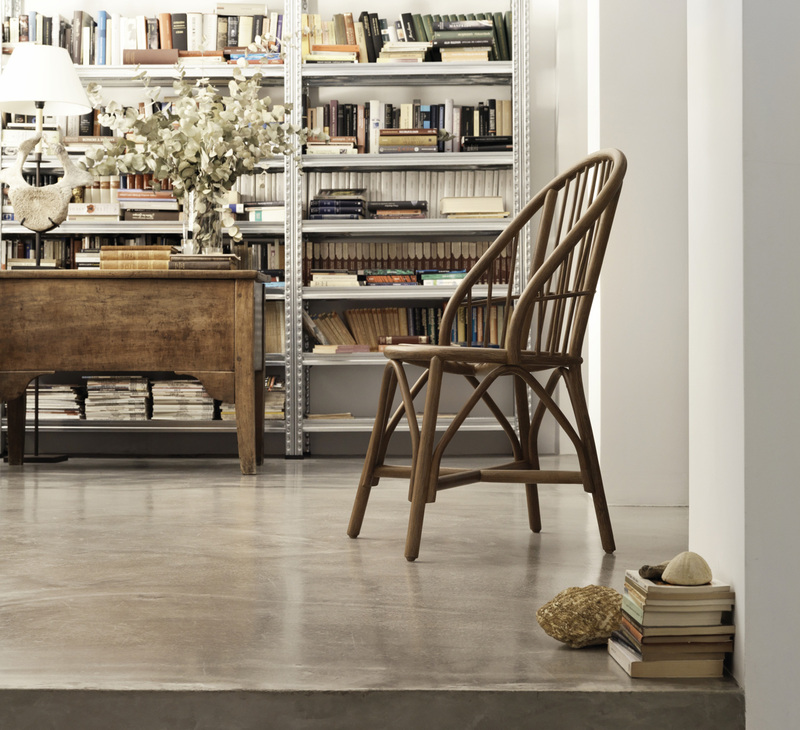 In 1964, the son of the founder expanded the product range to include armchairs and lounge chairs. 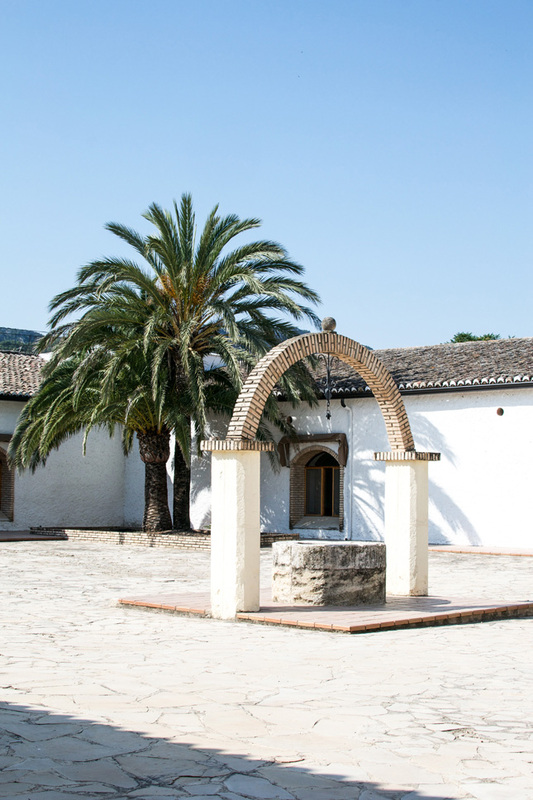 The end of the 1960s and the beginning of the 1970s marked the beginning of a golden period for tourism in Spain. 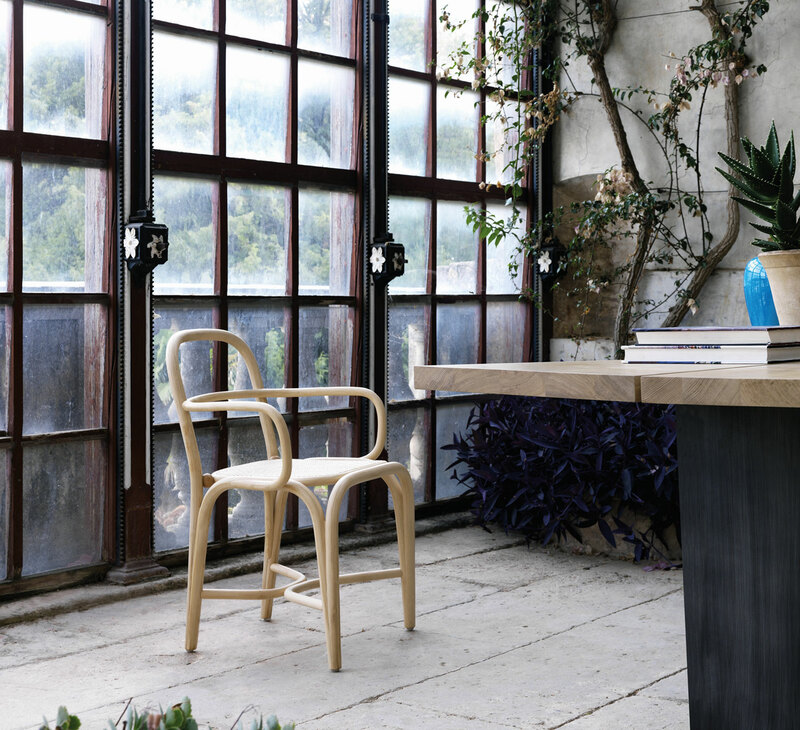 The visitors prized products made from natural materials and were particularly drawn to outdoor living. During this period, “La Exportadora” added products made from cane, which lead to their significant growth. 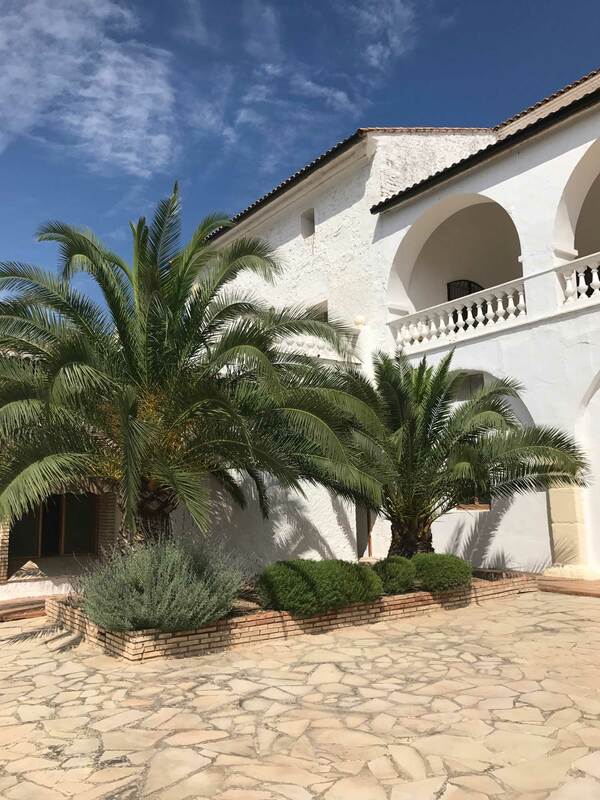 During the 1980s, there was a shortage of both cane and wicker in Spain, forcing the company to look to Indonesia, where the largest and finest rattan plantations were found. 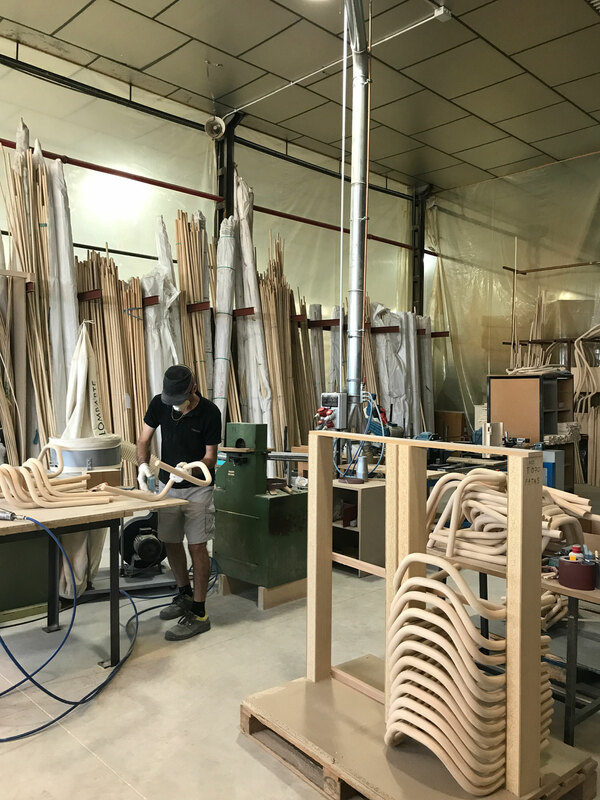 Expormim began importing raw materials for its products, at the same time expanding its catalogue to offer tables, sideboards, beds and other furnishing products for thousands of holiday homes being built on the Spanish coasts during this decade. In 1984, Indonesia banned the export of raw materials. 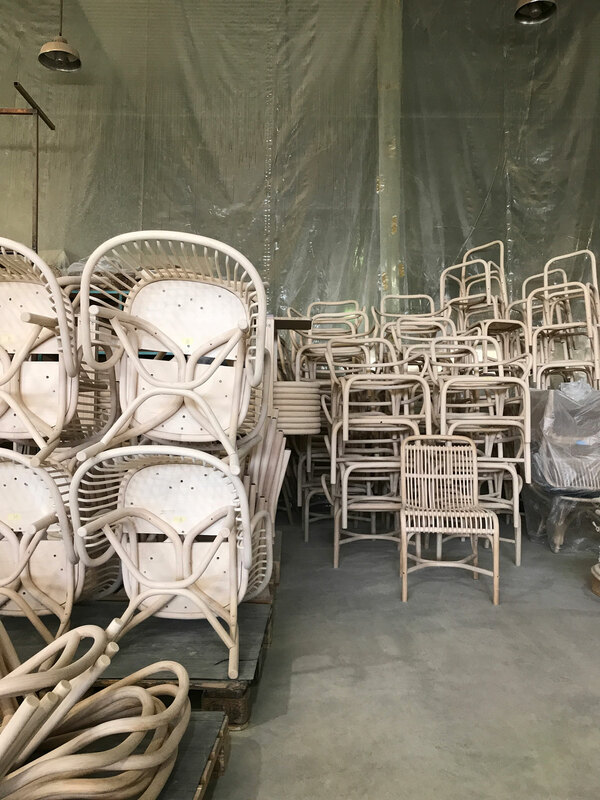 The company signed a Joint Venture with an Indonesian supplier to produce semi-finished products which were sent to the Moixent factory where they were assembled and finished. Over time they achieved the level of quality demanded by its original standards, made possible due to high product turnover. During this period, another company was founded in Indonesia in order to reinforce production and cover market demand. Business was booming; the products sold well and demand increased thanks to other emerging markets. 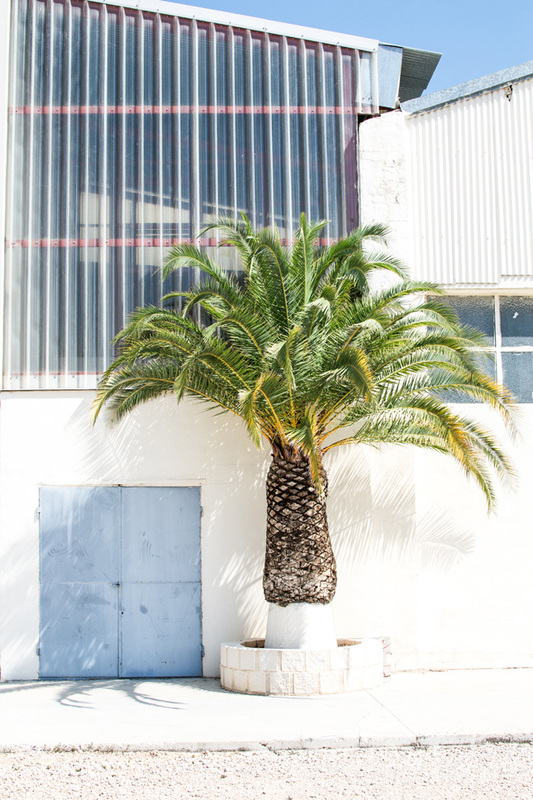 New production plants were built in Spain, and the company became known as EXPORMIM. Left to right: Radial, Fontal, Huma and Frames. 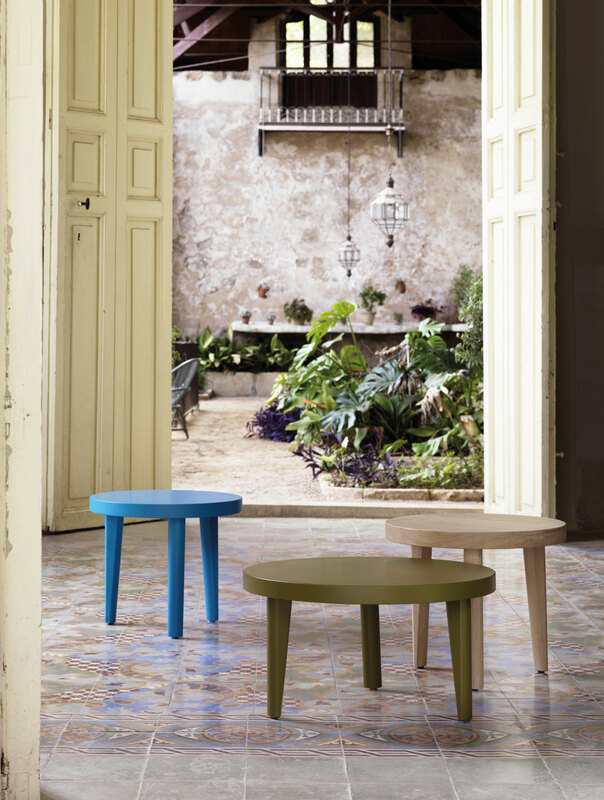 Left to right: Tina, Nautica, Reposo and Gres stools. 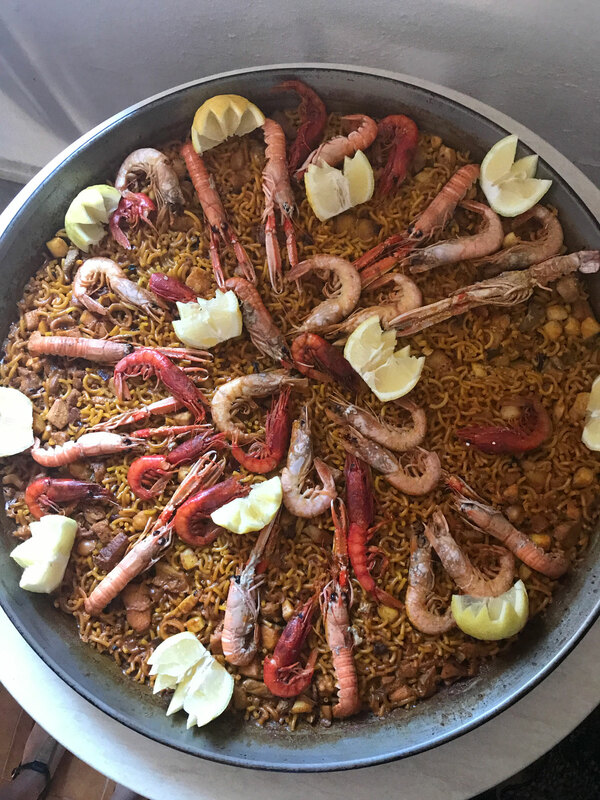 Left to right: Arenal, Altet, Banasal and Coqueta. 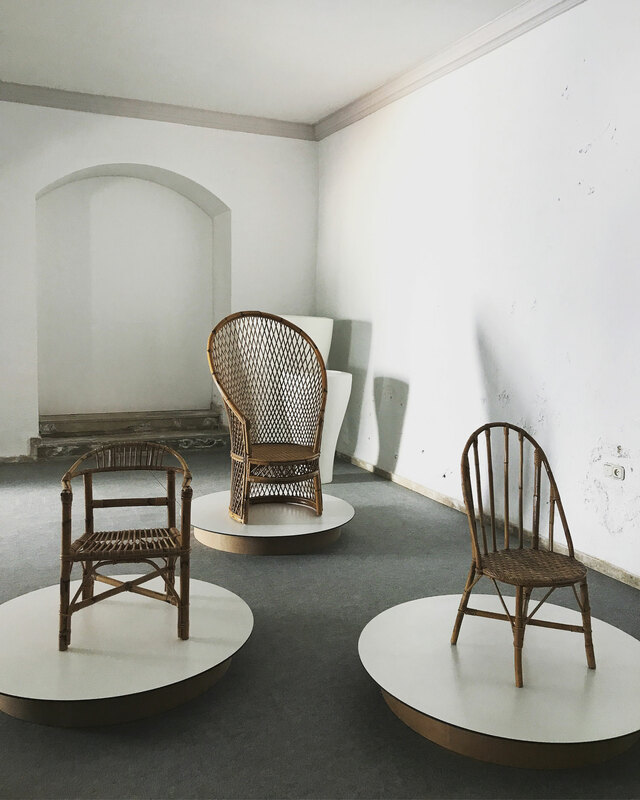 During the mid-1990s, rattan was no longer accepted in some markets, which lead to Expormim creating a new collection of furniture made from beech wood. 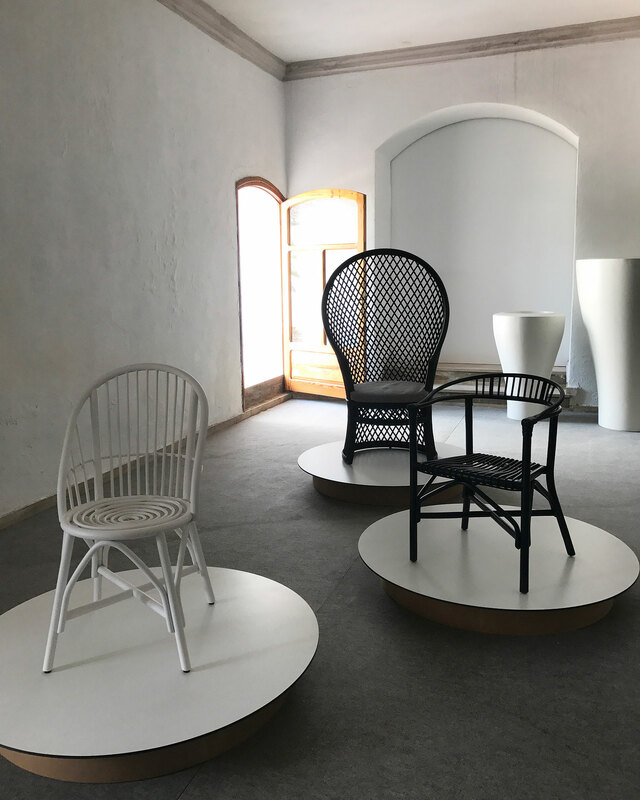 A close imitation of cane, this line of products became quite popular, leading to Expormim supplying furniture for cafés and hotels around the world. 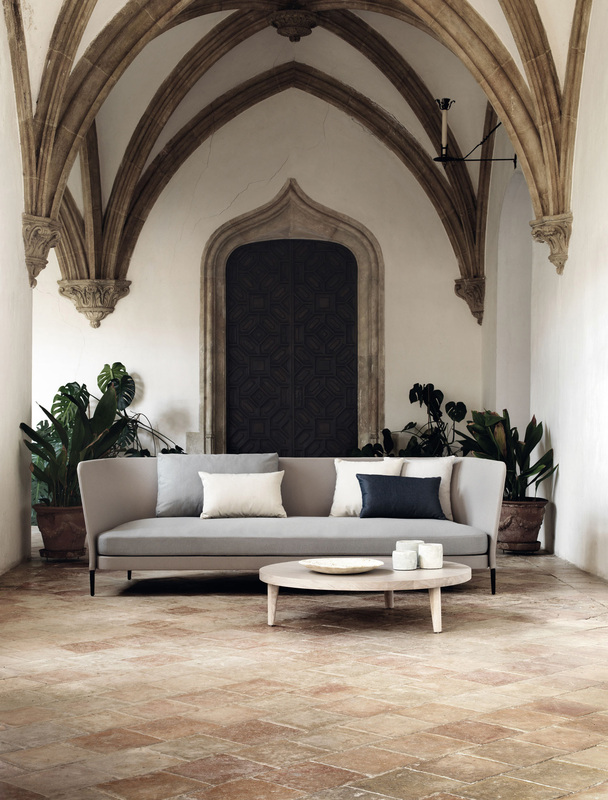 The 2000s saw the advent of the euro, the virtual disappearance of the rattan furniture market, the rise of imports from Asian countries, and significant changes seen in consumer habits with customers who placed a higher value on style rather than quality or durability. 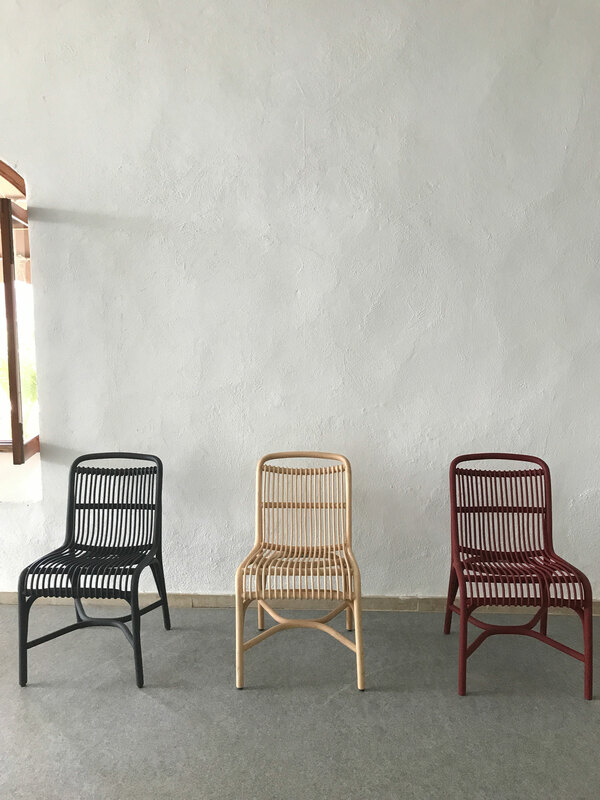 Now lead by the third generation of the Laso family, Expormim formed its R&D department to create new designs that met the needs of the market where everything was superfluous, and rattan was deemed passé. 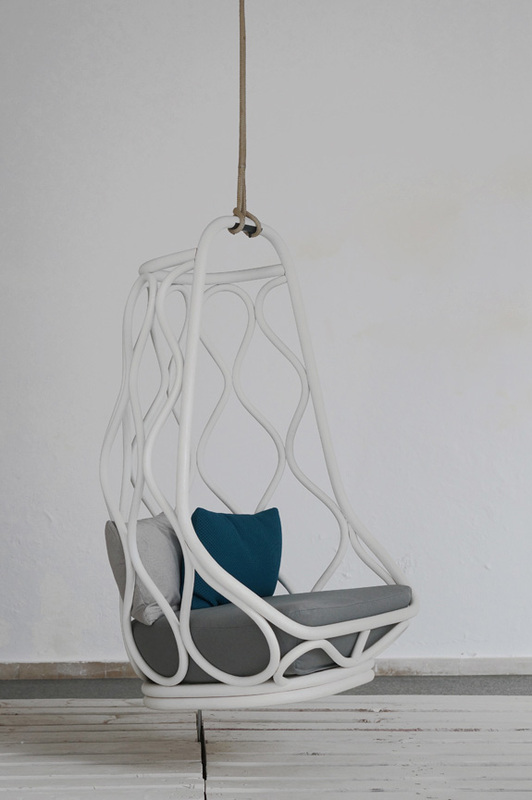 Rattan products made way for other alternatives more suited to consumer requirements, with outdoor furniture produced using synthetic rattan and other materials. 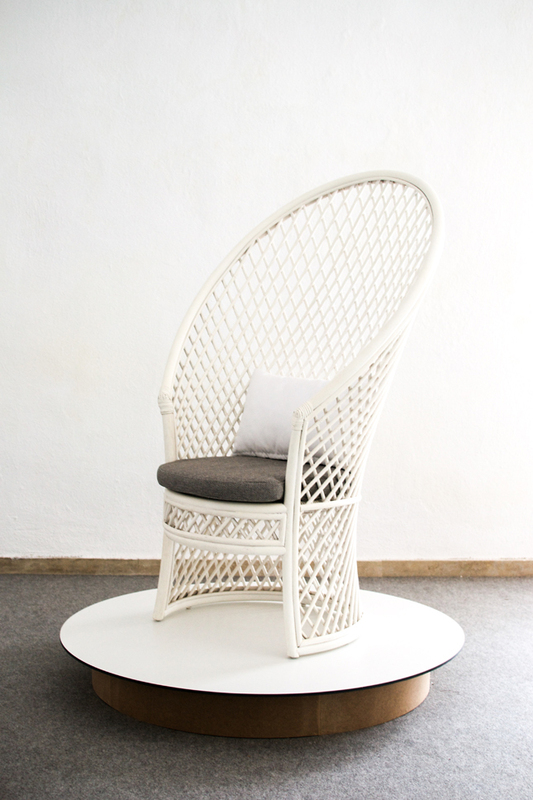 The company officially bid farewell to natural rattan. 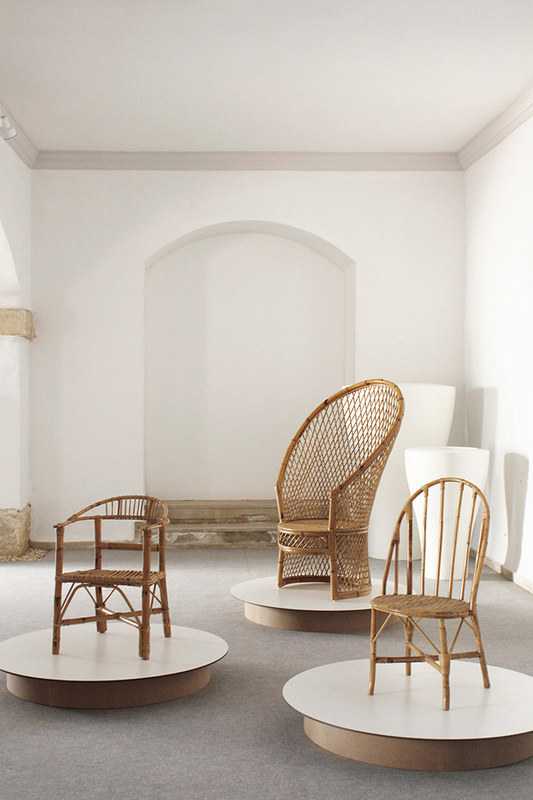 In 2013, 50 years since the company’s founding, Expormim began to pay tribute to the once prized material rattan. 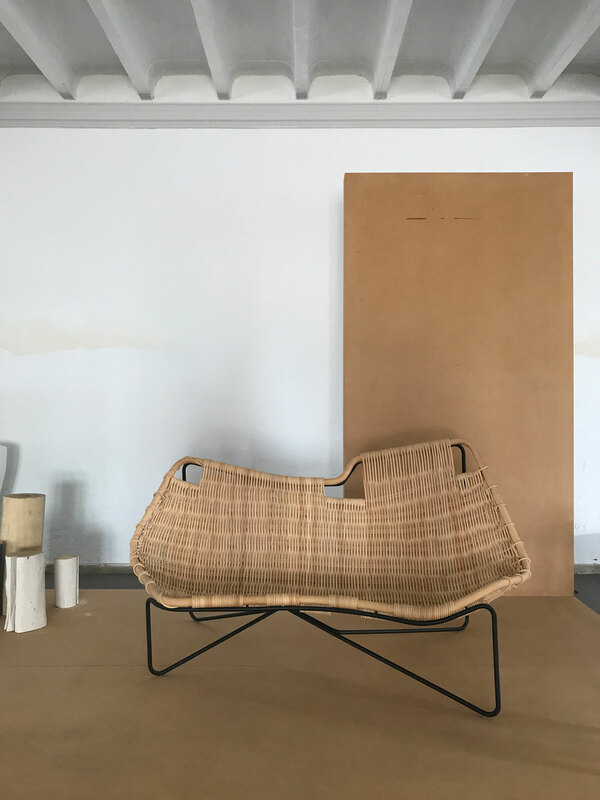 As an environmentally friendly product that offers absolute comfort, rattan pieces were brought back to life form the company’s historical collection, the end result of the 4 decades of experience attained by its artisans. Hooray! Scenes from Expormim Factory. Image courtesy of Expormim. 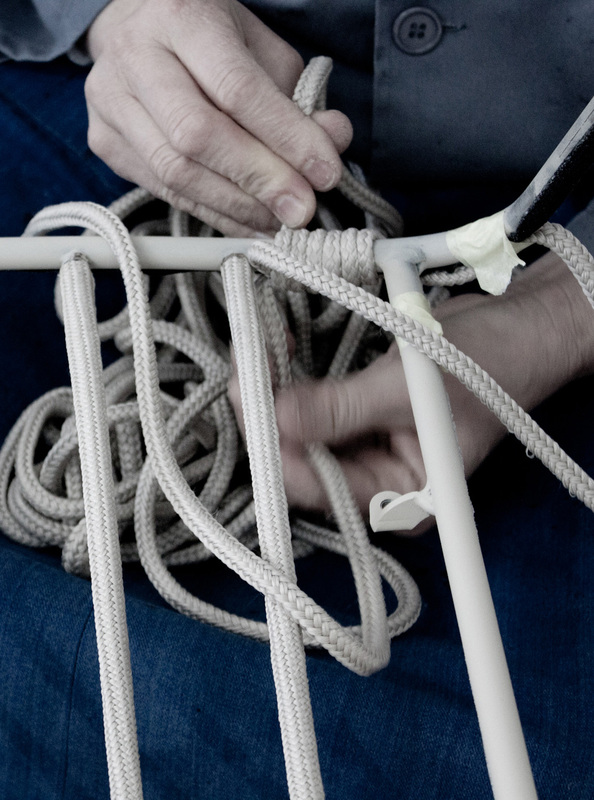 Master rattan craftsman at work. I love this photo so, so much. Image courtesy of Expormim. More from Expormim’s beautiful factory, which felt like what I imagine real-life Mister Geppetto’s workshop to be like. Photography © Dana Tomic Hughes/ Yellowtrace. 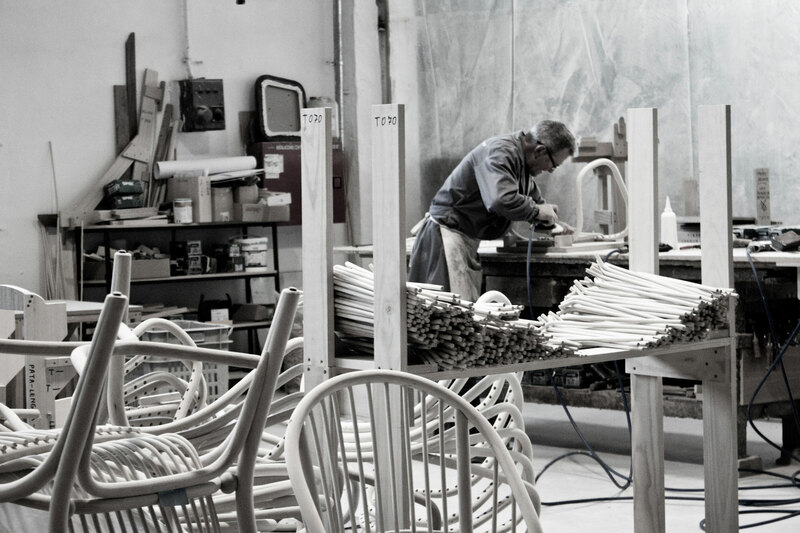 Left: Chair frames patiently waiting for the finishing touches. 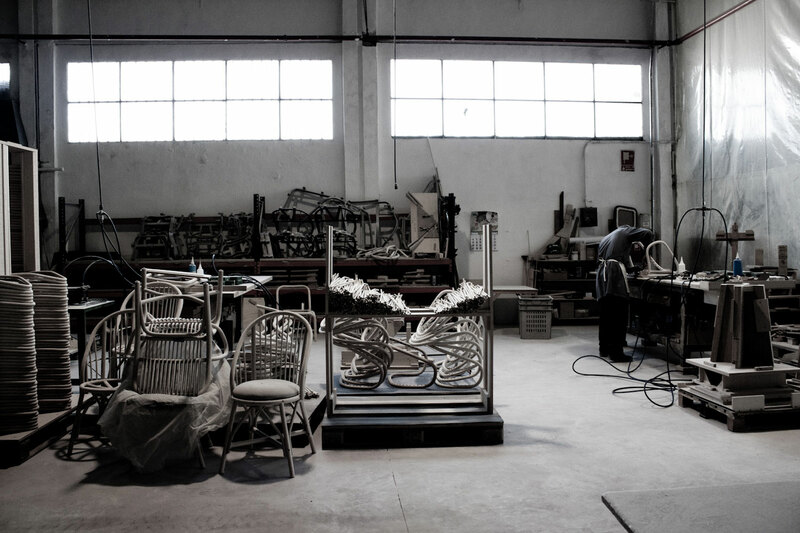 Right: This master rattan craftsman has been making chairs at Expormim all of his working life. He was super fast, accurate and fascinating to watch, but each chair still takes him 6 hours to make by hand. Photography © Dana Tomic Hughes/ Yellowtrace. 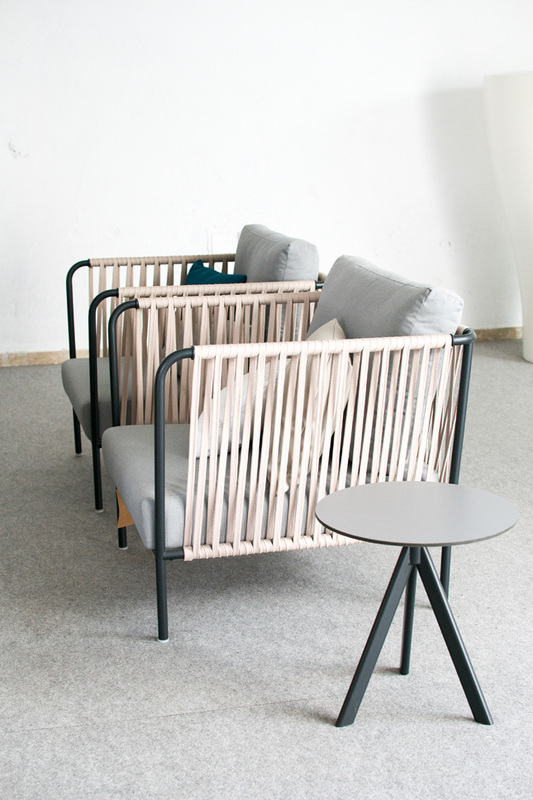 Factory details and raw indoor rattan. Image courtesy of Expormim. 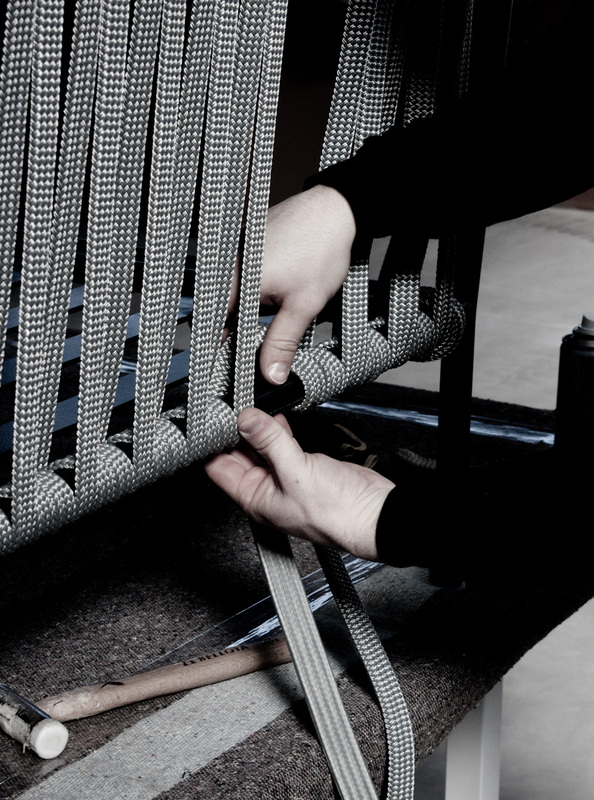 Huma chair being made by hand. Image courtesy of Expormim. 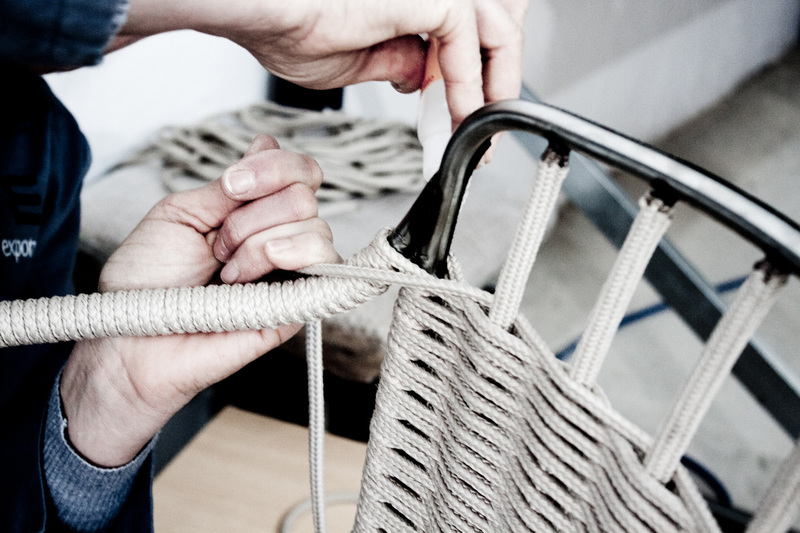 The hand-making of the indoor Lapala chair. Image courtesy of Expormim. Left: Indoor handmade Lapala. 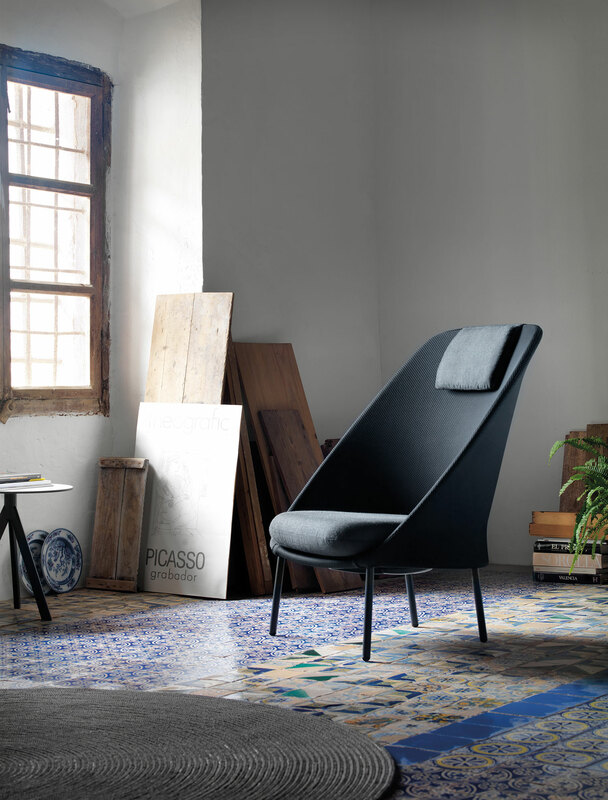 Right: Outdoor handmade Nido. Images courtesy of Expormim. Indoor Rattan Tina getting made. Image courtesy of Expormim. In the end, I can’t quite decide if I was more impressed with Expormim’s showroom, or their production facility located just up the road. This part of our visit was particularly mesmerising and incredibly inspiring. 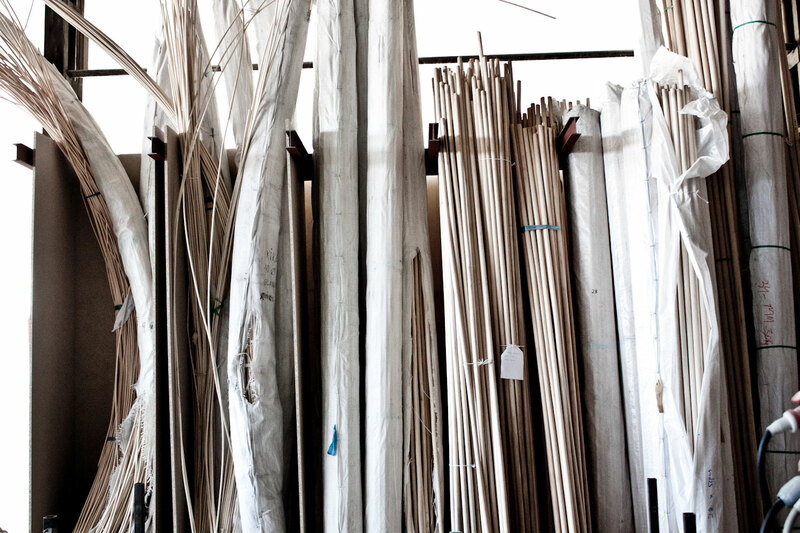 We saw the steaming process of rattan, as the material became soft like butter, before it was bent into shape. 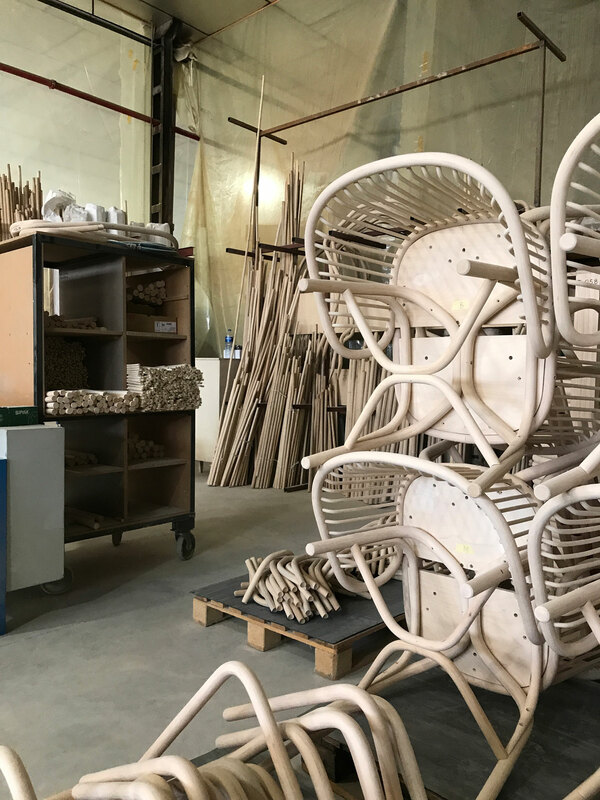 One master rattan craftsman, who had been making chairs at Expormim all of his working life, was incredibly fast, accurate and fascinating to watch, yet each chair still takes him 6 hours to make by hand. It was truly a privilege to witness a space where all the magic happens, full to the brim with countless objects most of us cannot name or even tell from each other, that all somehow ultimately translate into real pieces of art. I mean, seriously. What more can I possibly say? Expormim surprised me in so many ways. 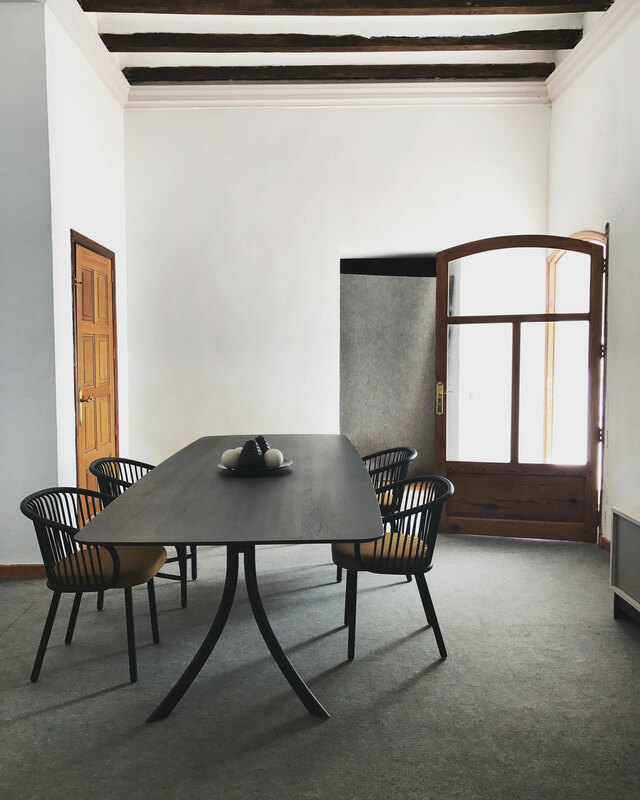 I found their product, showroom and factory existed in a perfect union, and told a cohesive, authentic story that, not only tugged at my heart strings, it was also a true manifestation of vision, craft and quality. I will leave you with a video that almost made me cry the day I watched it (I’m so not kidding). It’s called “In pursuit of beauty”, and it tells the story of Expormim so perfectly, you need not bother with anything else. I have personally seen countless brand videos in my day, most of which have either given me LOLs, make me feel ill, or put me to sleep, but trust me when I tell you that this is the brand video to end all brand videos. I urge you to watch it. Please. I promise you will not be disappointed. Expormim is available in Australia exclusively through KE-ZU. Left: Kabu Outdoor. 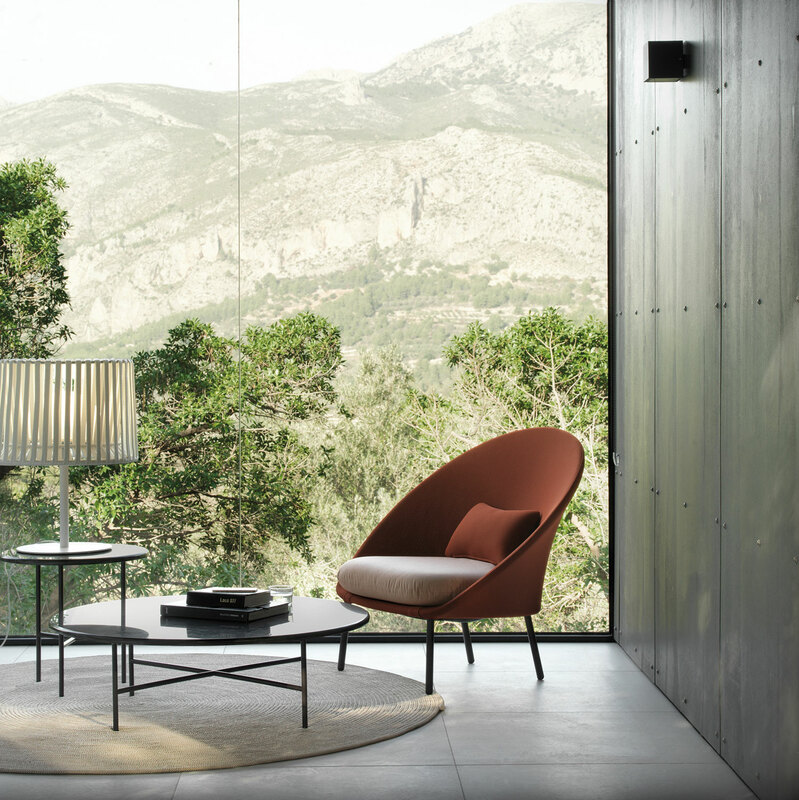 Right: Twins Outdoor designed by Alberto Sánchez, MUT Design. 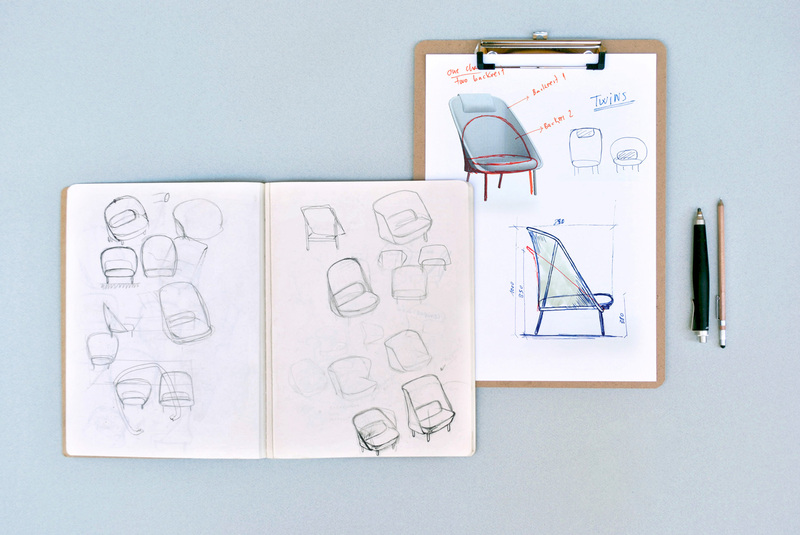 Sketch for Twins designed by Alberto Sánchez, MUT Design. 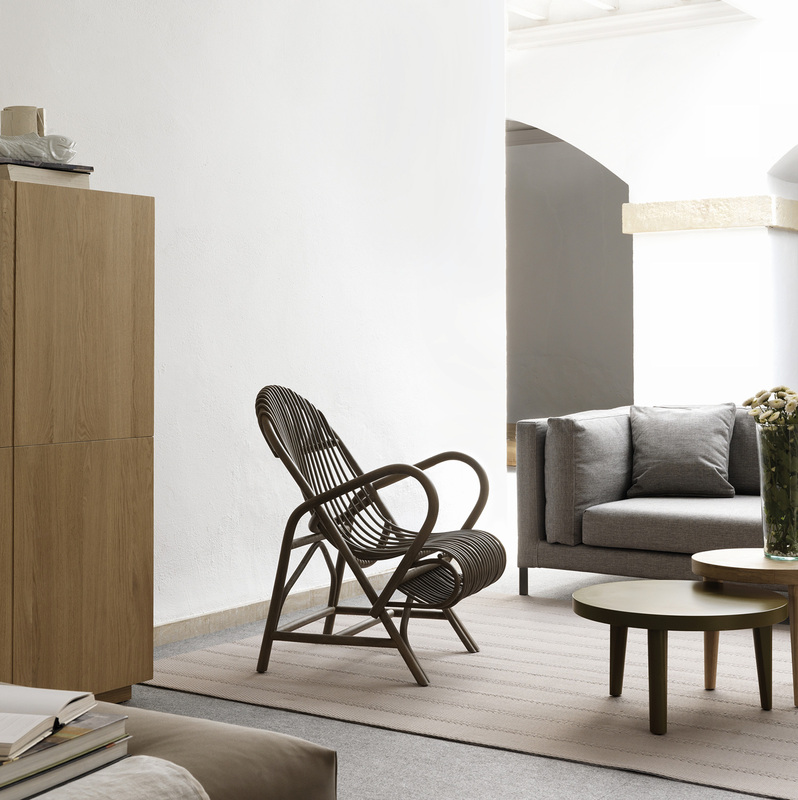 Left & Right: Lapala indoor collection designed by Lievore Altherr Molina. 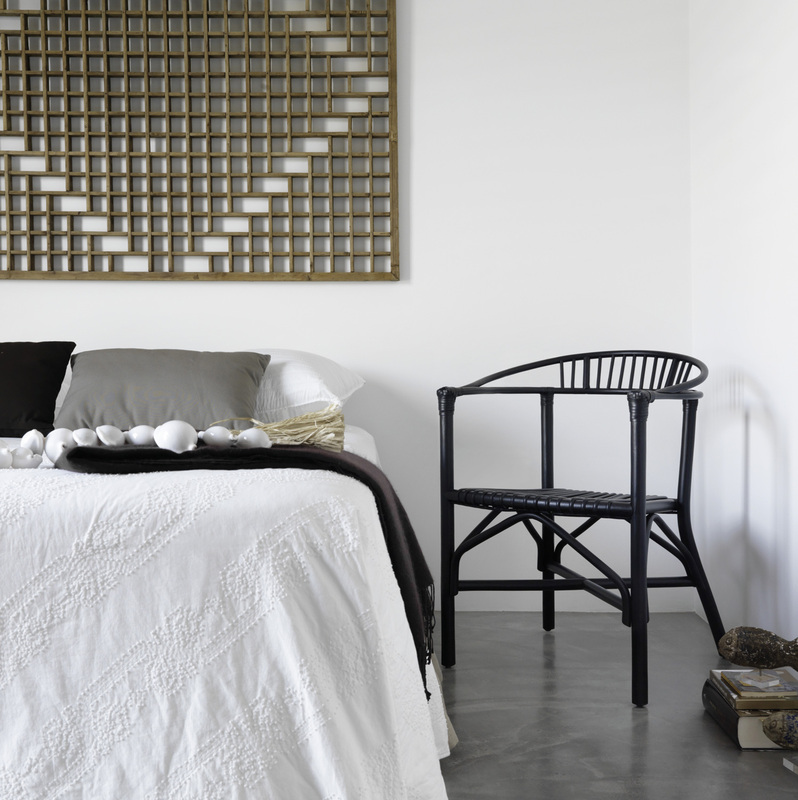 Left: Tina designed by Benedetta Tagliabue. 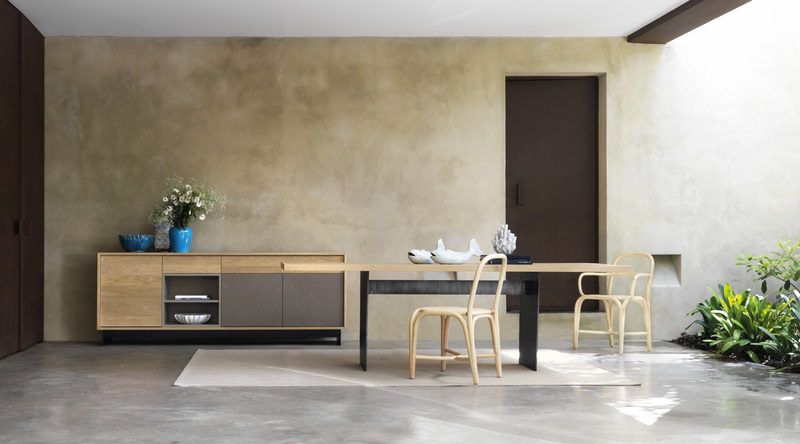 Right: Trio coffee table collection. 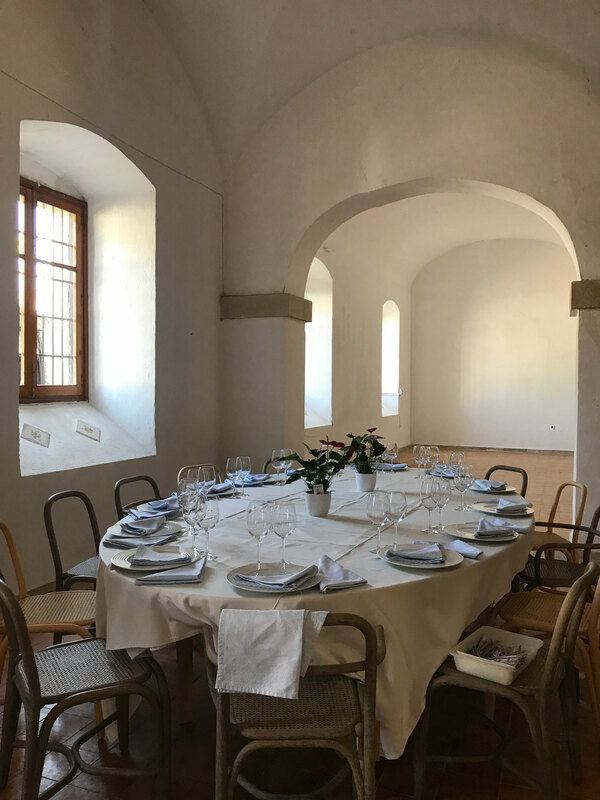 Left: Altet Chair. 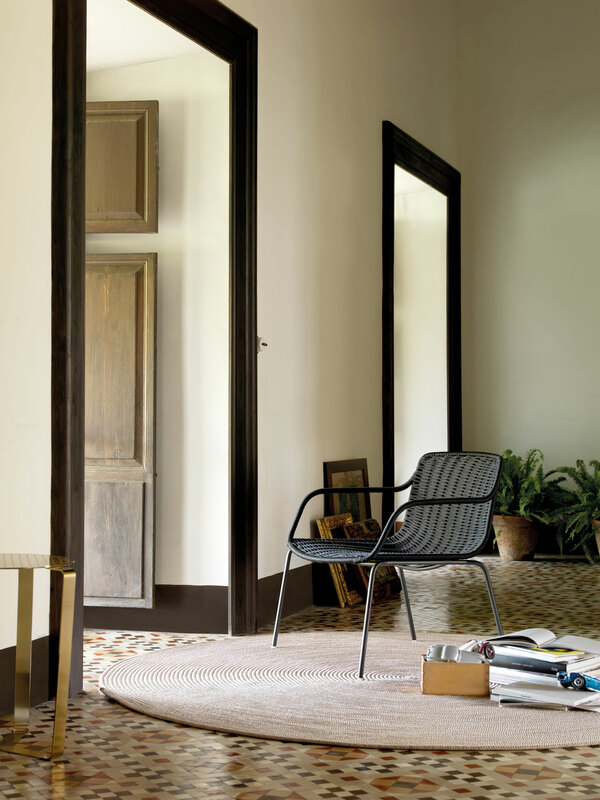 Right: Arenal Armchair. 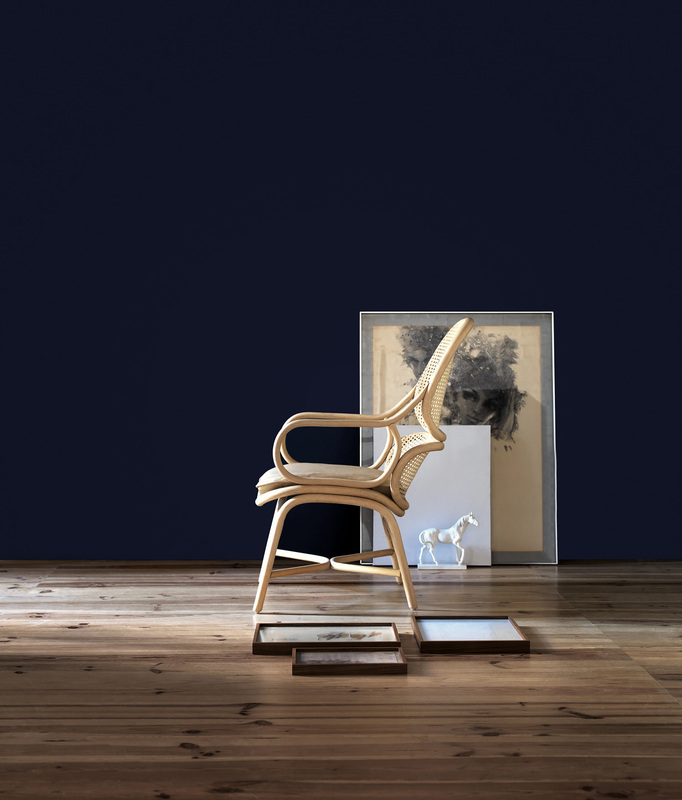 Left: Coqeta Chair. 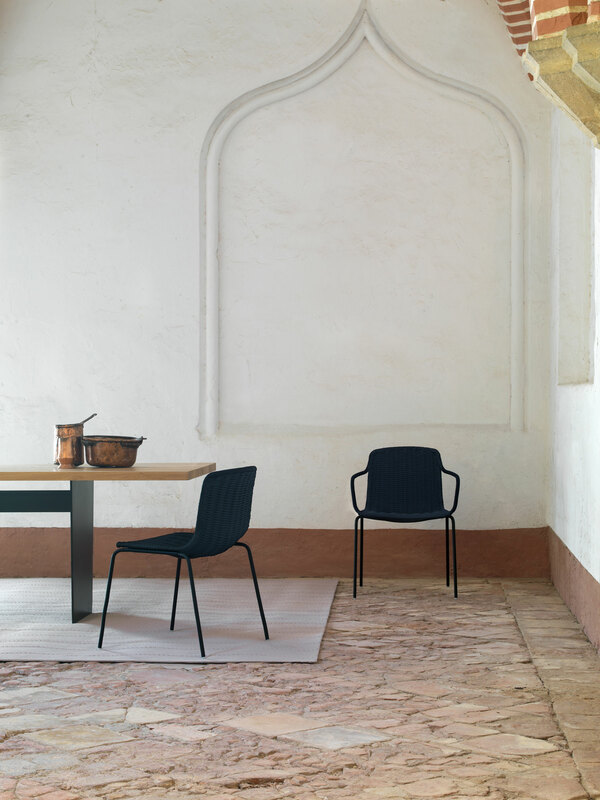 Right: Fontal Chair. 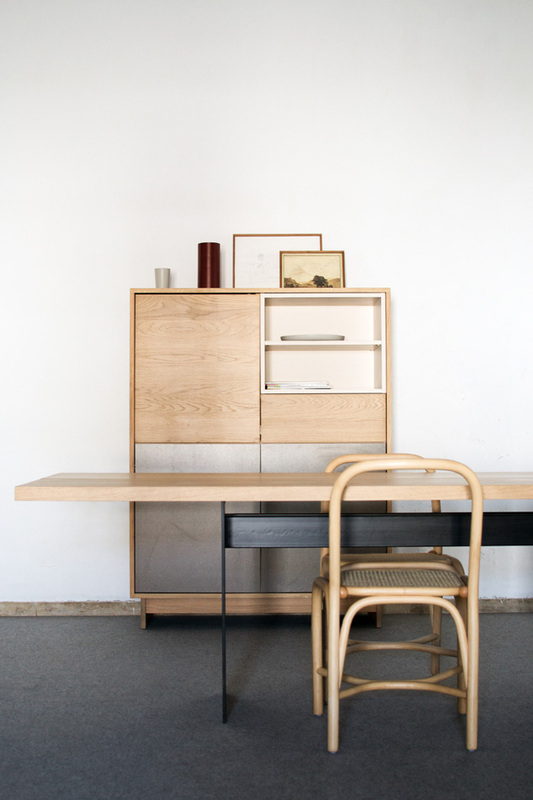 Fontal Chairs, Slats Table and Solid Cabinet. 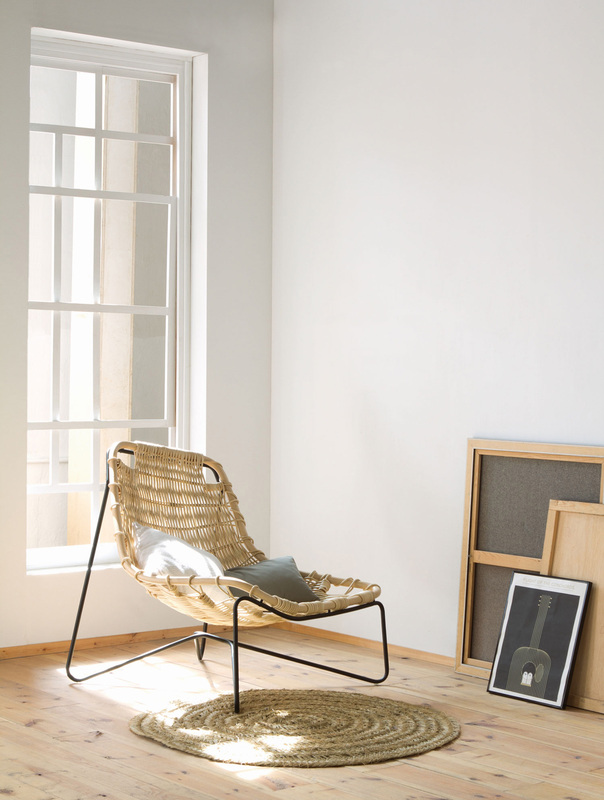 Left & Right: Frames Armchair designed by Jamie Hayon. 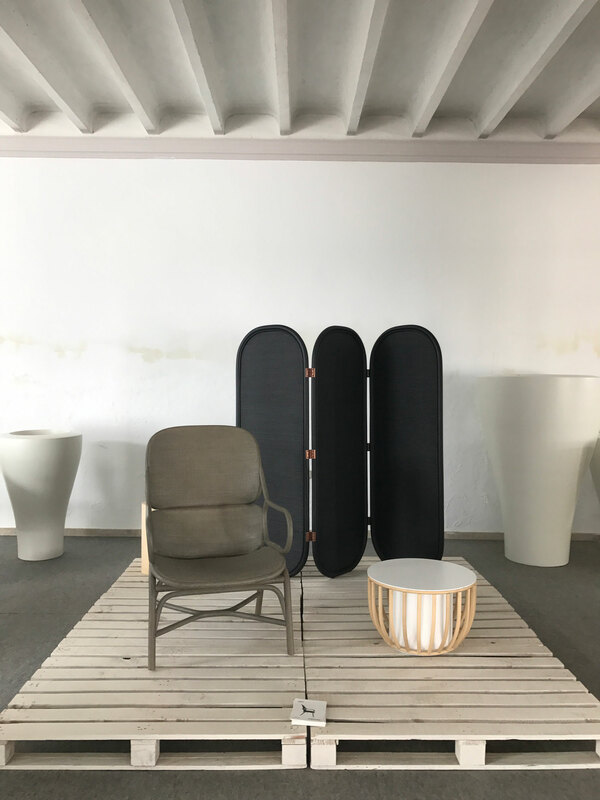 Left: Kabu Omega Outdoor Collection. 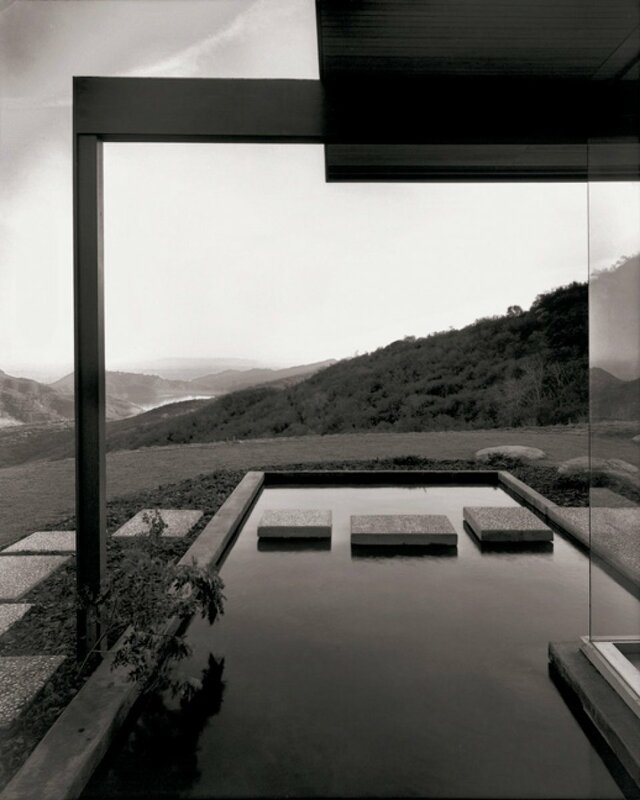 Right: Huma nero and Kotai rectangular. Kiri Collection by Mario Ruiz. 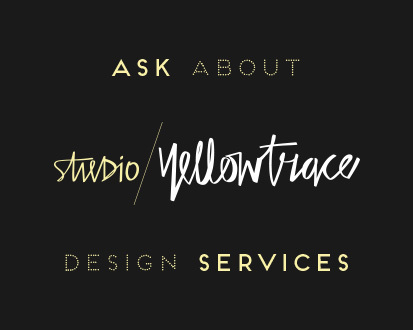 This Yellowtrace Promotion is proudly brought to you in partnership with KE-ZU. All related thoughts and ideas reflect our genuine opinion. 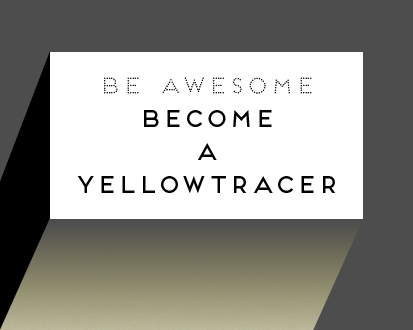 Like everything we do at Yellowtrace, our sponsored content is carefully curated to maintain utmost relevance to our readers. Superbaba Middle Eastern Restaurant in Victoria, Canada by Studio Roslyn. 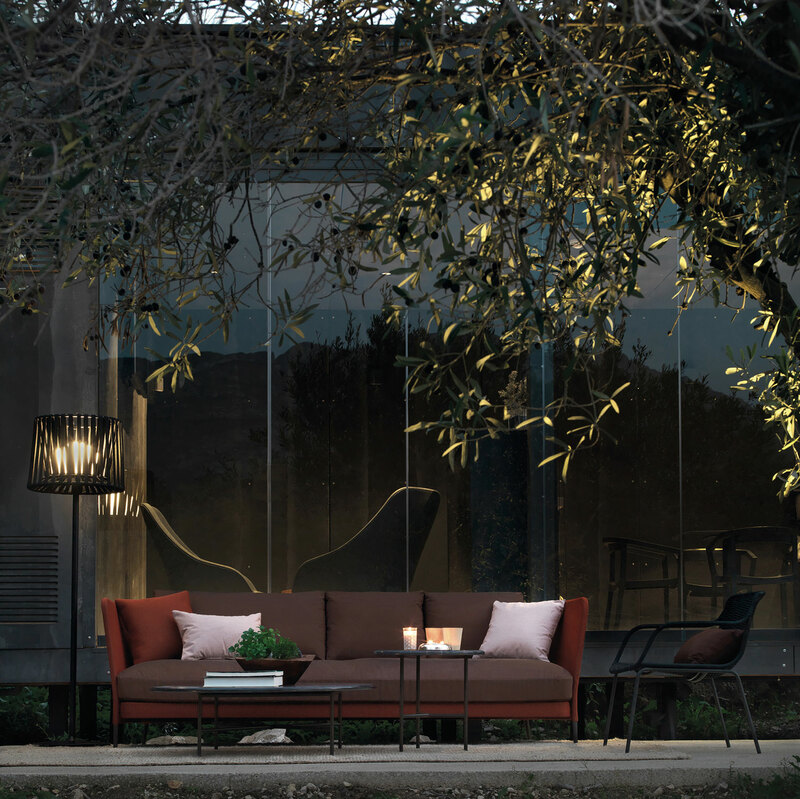 New Mondrian Sofa by Jean-Marie Massaud Joins the Poliform Collection. Amazing product and a beautifully presented story. Expormim nailed it with the brand video too! Absolutely fantastic. The video was also excellent. 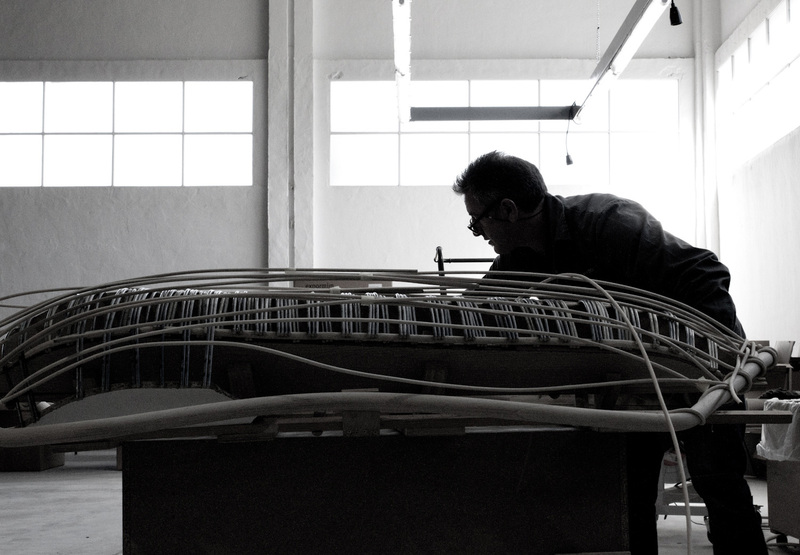 So much talent and skill in making beautiful furniture. It would be wonderful if leather could be incorporated into some designs, but since when did I become a designer?